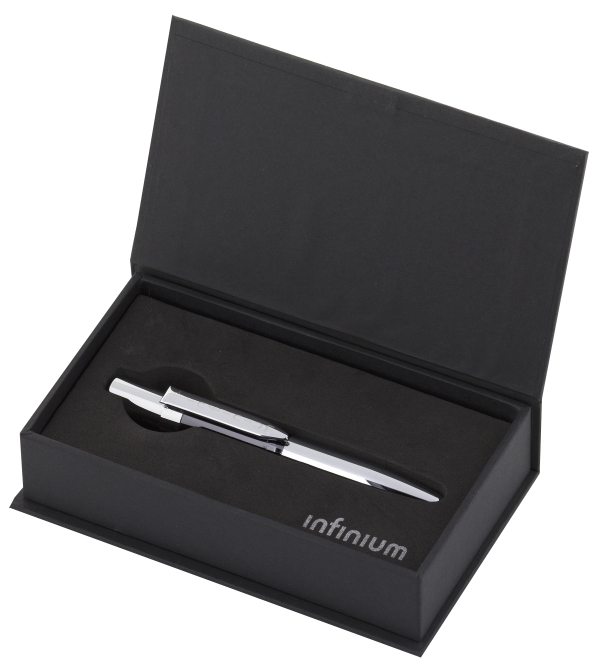 This Fisher Executive Pen offers the heft and feel that today's office warrior demands! 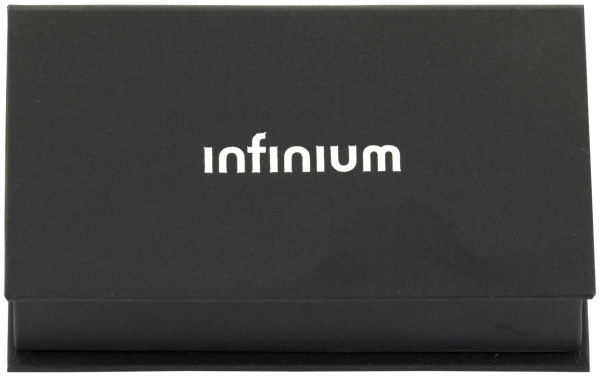 Whether working in an office or outside, the INFINIUM Series provides style and comfort, both in its writing, and its presentation. 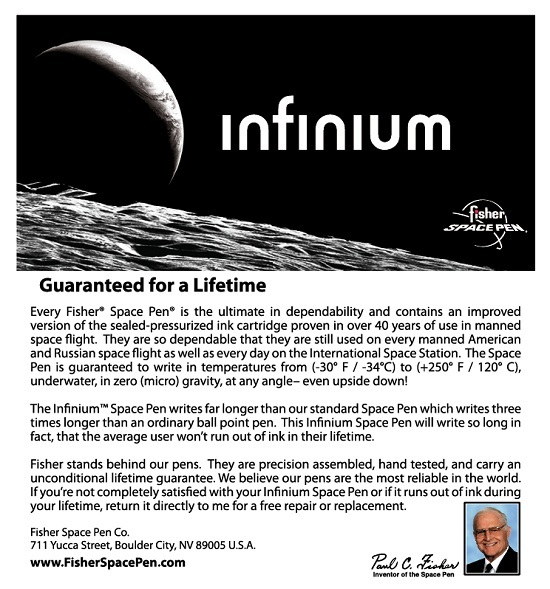 As with all Fisher Space Pens, it offers extreme quality and durability on which you can always rely. 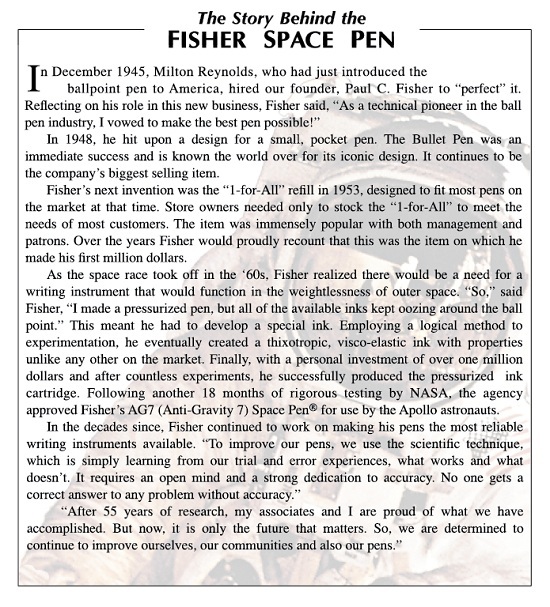 Fisher Space Pen, write anywhere, anytime, always. That's not a promise, that's a fact! 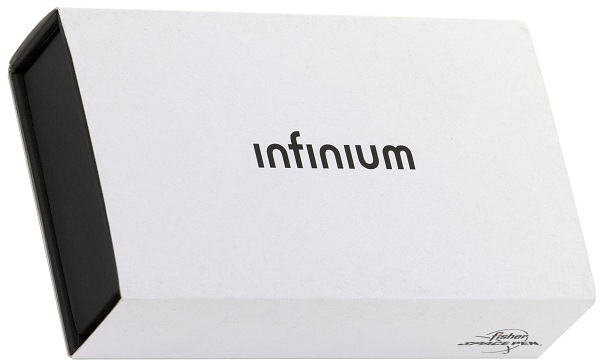 The Fisher INFINIUM pens will write so long in fact, that the average user won't run out of ink in their lifetime.